Rosenbaum studied in Berlin under Lovis Corinth, served with the German army during the First World War, then worked as a cartoonist for newspapers including 'ULK', marrying fellow artist Adèle Reifenberg in 1930. 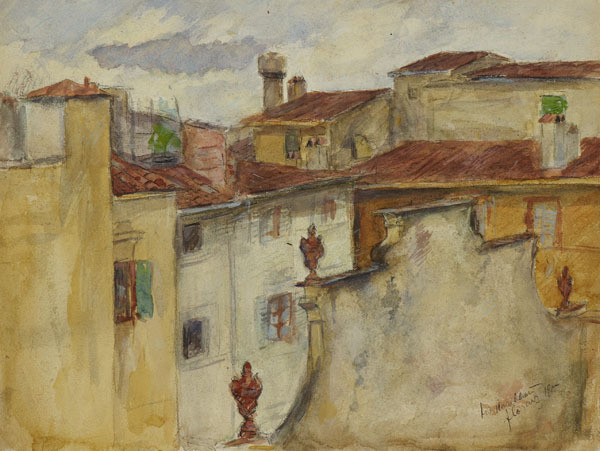 When banned from painting under the Nazi regime, he taught crafts at Jewish boys’ schools. After immigration, Rosenbaum repaired Blitz-damaged houses, and worked as a china restorer, before the couple established an art school (their students exhibiting as ‘The Belsize Group’). He died in Holland, on a visit to see a Rembrandt exhibition, and was buried in England.